It is a big book. I've read about the Gene and racial atrocities, Eugenics, in the past, just a little bit. Still, I have an interest in where does my "nose" come from and why does my voice sound like an aunt or cousin. I have lots of questions about blood, diseases and...Six hundred pages? Worried. Are you sure it's easy to read? I wouldn't say easy, not the real science parts anyway. I had to stay alert when reading it! Readable? A plus. This one has been on my radar since it came out. I thought it was! Your results may vary. I think if you have an interest in genetics you'd find it readable. At the moment I'm reading 'Seven Skeletons', which is about the history of the fossilised skeletons that have been used to basically trace the evolution of the human race - very readable and very interesting. A book you might like, and that might help you make more sense of the gene variation stuff, is 'The Invisible History of the Human Race' by Christine Kenneally. It's all about DNA and touches on things like eugenics, as well the movement of people out of Africa and into the rest of the world. 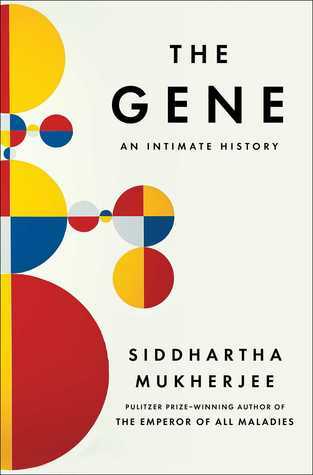 I'm not a very scientifically minded person, but I found it super easy to read (although, like you with 'The Gene', there were some parts I had to reread). I gently encouraged Shaina to read it and she quite liked it too (if you're looking for trustworthy opinions!). Plus it's a lot shorter than 'The Gene', so there's not as much information to absorb! I'll have to check out those books. Years ago I read and reviewed Seven Daughters of Eve which is about mitochondrial DNA and human migration. That one was interesting too. You might want to check it out. I have this one. I am a sucker for books about what makes us tick. I may no longer want to be a doctor (a childhood dream I dropped in college) but the science of the human body still fascinates me.